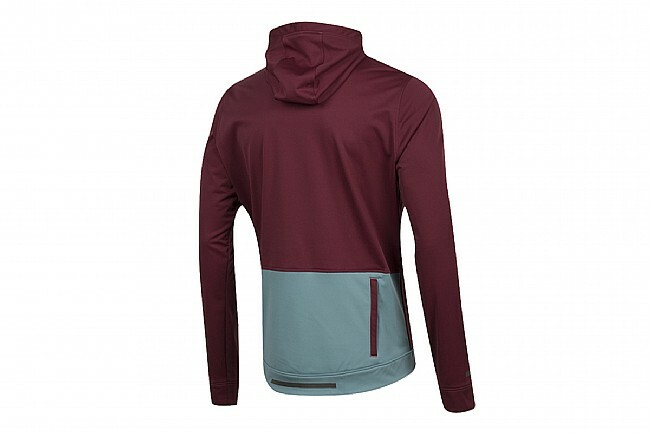 The Pearl Izumi Versa Softshell Hoodie just might be your new favorite hoodie. 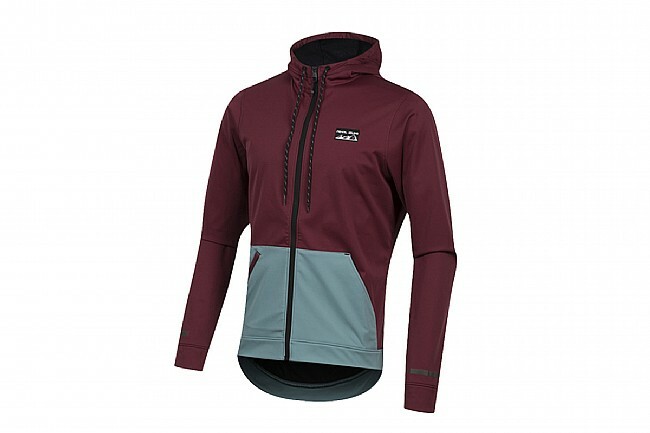 The all-over softshell provides warmth and stretch that's great on the bike while remaining casually comfortable. A drop tail hem and reflective elements keep you covered, warm and visible when riding. The back-zip pocket is a perfect place to store gloves when you get to your destination without adding bulk. Wear it over anything to add some bike style to your casual look, whether you're pedaling or just enjoying the day. 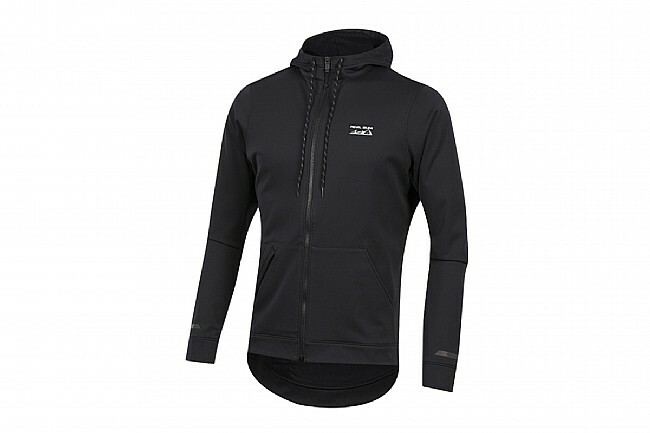 Full Softshell fabric to keep you warm and provide protection from the cold weather. Two front hand pockets, one with zippered security pocket, and a zippered rear pocket. 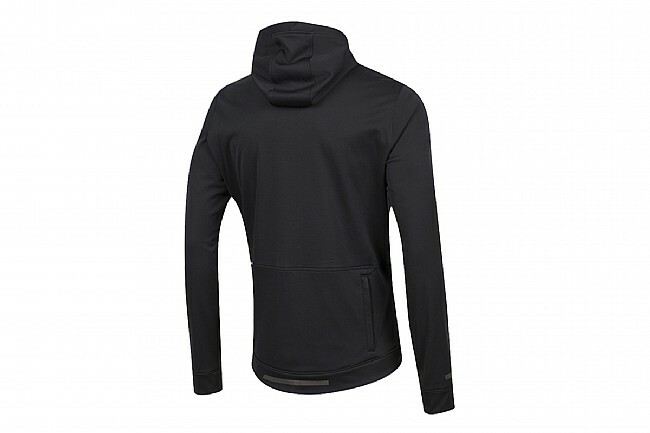 Hood with draw cord offers head coverage in poor weather. Subtle reflective accents for improved visibility in low-light conditions. Drop-tail hem for low back coverage when on the bike.